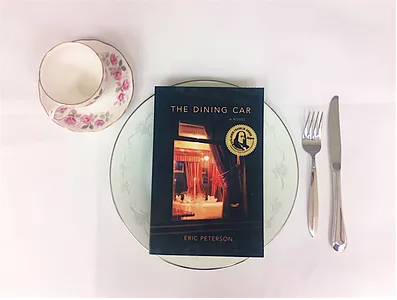 Review of The Dining Car, a mainstream novel by Eric Peterson, paperback. GUEST BLOG / By Adam Lottes, freelance book reviewer, online book store owner--In his second novel, author Eric Peterson dishes up a riotous spectacle of self-absorbed chefs, backstabbing politicians, and devious publishing magnates, set against a backdrop of haute cuisine, presidential politics, and an endless supply of top-shelf liquor and wine. Fresh from a public humiliation and in search of his true calling, former college football star Jack Marshall enlists as bartender and steward aboard Horace Button's vintage private railroad car, the "Pioneer Mother," which is transporting the legendary food writer and social critic across the country in opulent style. 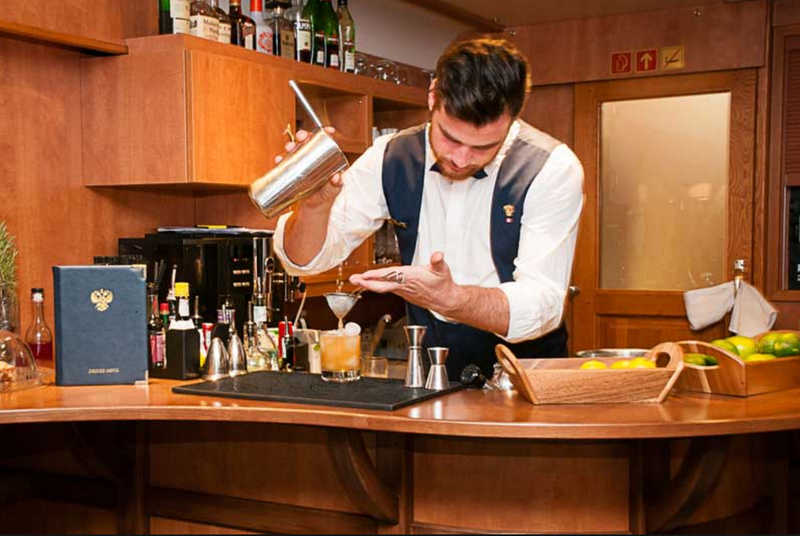 Decked out in a white jacket, mixing perfect cocktails, Jack is immersed in a style of living --and dining-- he'd assumed was extinct. While striving to appease the eccentric, finicky Horace, and Wanda, the "Pioneer Mother's" enigmatic chef, Jack falls under the spell of Giselle Lebeau, a gorgeous celebrity chef whose designs on him test his self-control and his loyalty. But when tragedy rocks Horace's insulated white-linen world, Jack must take charge of a simmering stew of quirky yet powerful personalities -- all while staying in Wanda's good graces and keeping an eye on their newest passenger. Adam Lottes is the owner and creator of The Secret Stash - an on-line shop offering an assortment of books, gifts and clothing featuring local authors, artists and emerging brands. Adam resides in Escondido and loves connecting readers with the books of San Diego Authors. PURCHASE: The Dining Car—click here.